- ITALIE – Lac Nemi - The lost tomb of Caligula has been found, according to Italian police, after the arrest of a man trying to smuggle abroad a statue of the notorious Roman emperor recovered from the site. After reportedly sleeping with his sisters, killing for pleasure and seeking to appoint his horse a consul during his rule from AD37 to 41, Caligula was described by contemporaries as insane. With many of Caligula's monuments destroyed after he was killed by his Praetorian guard at 28, archaeologists are eager to excavate for his remains.Officers from the archaeological squad of Italy's tax police had a break last week after arresting a man near Lake Nemi, south of Rome, as he loaded part of a 2.5 metre statue into a lorry. The emperor had a villa there, as well as a floating temple and a floating palace; their hulks were recovered in Mussolini's time but destroyed in the war. The police said the statue was shod with a pair of the "caligae" military boots favoured by the emperor – real name Gaius Julius Caesar Augustus Germanicus; as a boy, Gaius accompanied his father on campaigns in Germany; the soldiers were amused he wore a miniature uniform, and gave him his nickname Caligula, or "little boot". The statue is estimated to be worth €1m. Its rare Greek marble, throne and god's robes convinced the police it came from the emperor's tomb. Under questioning, the tomb raider led them to the site, where excavations will start today. - INDONESIE – Sumatra - A prehistoric megalithic site with a mass grave was recently uncovered on a one-hectare plot of land in a South Sumatra village. The site was found in a coffee plantation belonging to Thamrin, 62, a resident of Segayun Village in Gumay Ulu District, Lahat Regency. “There is a grave stone carved with batik-like motifs 50 centimeters high and 15 centimeters wide,” Thamrin told Antara. A small statue was also found around 30 meters away from the grave. A researcher from Palembang Archeology Center, Kristantina Indriastuti, said it was a residential area from the prehistoric era, as indicated by the statue that predates the spread of Islam in Indonesia. 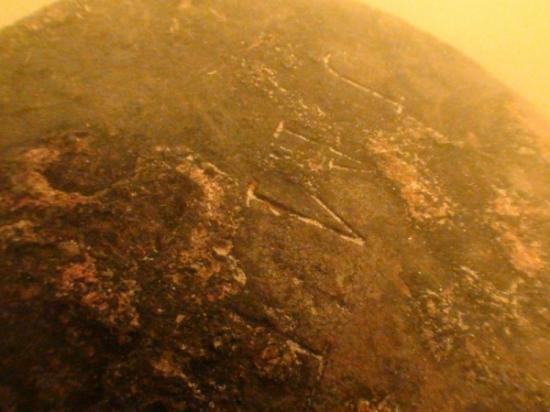 “The grave with the gravestone may have belonged to a king,” she said. - TURQUIE – Hasankeif - Tourism sites in the ancient city of Hasankeyf, located in Batman province, have been closed to visitors since July, when a large rock rolled down from the city’s old castle and killed an elderly man living in a nearby cave. A Culture Ministry board consisting of 38 officials visited the city last week and examined the region for three days before producing a report calling for the area to be reopened to tourism in April, the Doğan news agency, or DHA, reported Sunday. 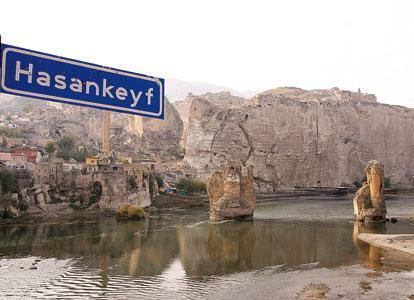 According to Professor Abdüsselam Uluçam, who heads the archaeological excavations in the city, the ministry will provide 2.1 million Turkish Liras for the renovation of the Hasankeyf area, which is set to be flooded as part of the ongoing construction of the controversial Ilısu Dam. The money will be used to reinforce loose rocks and boulders and fix a gate that is in danger of falling apart, said Uluçam, who oversaw the work of the Culture Ministry board in coordination with Batman’s deputy governor and Hasankeyf’s local administrators. He added that the State Waterworks Authority, or DSİ, would write a report on the geological structure of the rocks in the area. Ancient houses in the city will also be registered and restoration work on historical buildings will be sped up.The city has been the focus of international campaigns to prevent it from being flooded by the Ilısu Dam, which is being built nearby. In addition to its rich historical heritage, which is still being uncovered in ongoing archaeological excavations, the area is home to many animal and plant species. Before the city is flooded, some historical artifacts and buildings will be moved to the new village of Hasankeyf being built for the current town’s soon-to-be-displaced residents. 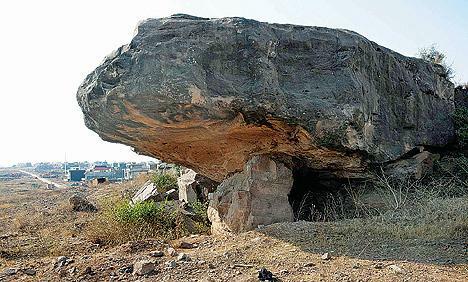 - PAKISTAN – Islamabad -As many as 30 ‘rock shelters,’ some dating back to the Stone Age, in the capital and its surroundings are on the verge of destruction due to the negligence of the relevant authorities. According to information, there were around 30 ‘rock shelters’ in the city, which have either been partially destroyed due to construction work or facing danger of being destroyed. A ‘rock shelter’ (also known as rock house, crepuscular cave or ‘abri’) is a shallow cave-like opening at the base of a bluff or cliff. ‘Rock shelters’ form because a rock stratum such as sandstone, which is resistant to erosion and weathering, has formed a cliff or bluff, but a softer stratum, more subject to erosion and weathering, lies just below the resistant stratum, and thus undercuts the cliff. ‘Rock shelters’ are often important archaeologically. Because ‘rock shelters’ form natural shelters from the weather, prehistoric humans often used them as living-places, and left behind debris, tools and other artefacts. According to archaeologists, one of the oldest rock shelters dating back to the Stone Age is situated in Sector G-13, which has unfortunately become a victim of development work. A portion of it has been badly damaged as developers are unaware of its significance and the city authorities are least concerned about the preservation of such ancient sites. During a recent survey of archaeological sites by the Taxila Institute of Ancient Civilisations (TIAC), a large number of potsherds from the site were collected which confirm that the site had been used by the prehistoric civilisation. - PALESTINE - Jéricho- Palestinian Authority Tourism Minister Khloud Daibes on Saturday announced the completion of the first stage of excavations at a new site at the historic Hisham's Palace in Jericho. The project, which will excavate the northern gate of the never-completed Ottoman palace will be the first joint Palestinian-American archaeological excavation. Long thought to be an unfinished palace used only during the 8th century A.D. and subsequently abandoned, previous research used pottery sequencing to show that areas around the central palace were actually occupied much longer, with estimates saying habitation went into the 13th century. The latest excavations under the institute's Dr Donald Whitcomb and Palestine's Dr Hamdan Taha, will investigate the theory that the site was not just a palace complex, but was instead an incipient Islamic city. At the inauguration, Taha said excavators would look for evidence that there were two stages of habitation at the site of the palace, during the Umayyad and then the Abbasid eras. Both archaeologists said they expected the finds at the northern gate to be similar to what was found in the south. A secondary site near the already uncovered bath will also be established, the officials said, where work that finished in 2006 would be continued. Excavations will be centered on the northern hill which was first explored in the mid 1960s under the supervision of Dr Awni Dajani, then director of the Jordanian antiquities department. The site has been of archaeological interest to collectors and scholars for hundreds of years, with work dating back to the 19th century. Early work, however, was not well documented, and many of the artifacts ended up on the black market. Now a Palestinian historical site, the palace and the surrounding compound marking Ancient Jericho, is one of a growing number of tourist attractions in the city.